CHICAGO--(BUSINESS WIRE)-- Hyatt Hotels Corporation (NYSE: H) today announced the launch of The Unbound Collection by Hyatt, a global collection of unique and independent stay experiences. The Unbound Collection by Hyatt will include a portfolio of new and existing upper-upscale and luxury properties that will maintain a distinct character while providing guests and owners Hyatt’s award-winning customer loyalty program, robust operational and marketing resources and trusted, quality brand. The properties within The Unbound Collection by Hyatt – which will include historic urban gems, contemporary trend-setters, boutique hotels, resorts, and more – will have their own individual brand identities, free from constraint or convention. At the same time, the brand will provide guests the freedom from worry by giving them the high-quality that comes with the Hyatt brand. 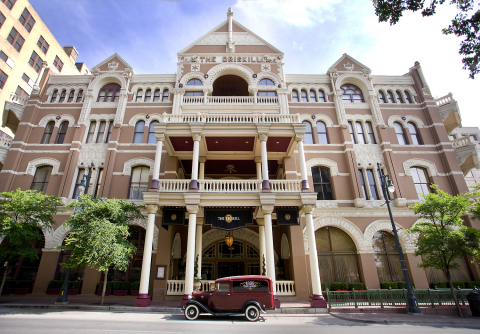 The Unbound Collection by Hyatt launches with properties around the world, including The Driskill Hotel in Austin, Texas; the Hôtel du Louvre in Paris, France; the Carmelo Resort & Spa in Carmelo, Uruguay; and the Coco Palms Resort in Kauai, Hawaii, which is expected to undergo a revitalization and re-open in spring 2018. Future hotels in The Unbound Collection by Hyatt will be equally story-worthy, whether it be through a fascinating past, an exclusive location, famous architecture and design, or an award-winning dining experience. To hear more about The Unbound Collection by Hyatt from Mark Hoplamazian, President and CEO of Hyatt Hotels Corporation, click here. Forward-Looking Statements in this press release, which are not historical facts, are forward-looking statements within the meaning of the Private Securities Litigation Reform Act of 1995. Our actual results, performance or achievements may differ materially from those expressed or implied by these forward-looking statements. These statements include statements about Hyatt’s brand strategy and involve known and unknown risks that are difficult to predict. In some cases, you can identify forward-looking statements by the use of words such as “may,” “could,” “expect,” “intend,” “plan,” “seek,” “anticipate,” “believe,” “estimate,” “predict,” “potential,” “continue,” “likely,” “will,” “would” and variations of these terms and similar expressions, or the negative of these terms or similar expressions. Such forward-looking statements are necessarily based upon estimates and assumptions that, while considered reasonable by us and our management, are inherently uncertain. Factors that may cause actual results to differ materially from current expectations include, among others, the rate and pace of economic recovery following economic downturns; levels of spending in business and leisure segments as well as consumer confidence; declines in occupancy and average daily rate; if our third-party owners, franchisees or development partners are unable to access the capital necessary to fund current operations or implement our plans for growth; changes in the competitive environment in our industry and the markets where we operate; our ability to access the capital markets; and other risks discussed in the Company's filings with the U.S. Securities and Exchange Commission, including our Annual Report on Form 10-K, which filings are available from the SEC. We caution you not to place undue reliance on any forward-looking statements, which are made as of the date of this press release. We undertake no obligation to update publicly any of these forward-looking statements to reflect actual results, new information or future events, changes in assumptions or changes in other factors affecting forward-looking statements, except to the extent required by applicable laws. If we update one or more forward-looking statements, no inference should be drawn that we will make additional updates with respect to those or other forward-looking statements.